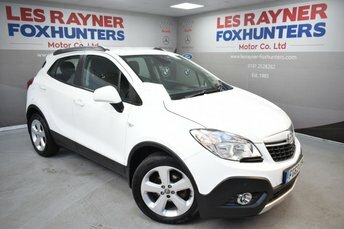 DA65AHZ VAUXHALL MOKKA 1.6 SE CDTI ECOFLEX S/S 5d 134 BHP! 1 owner from new. 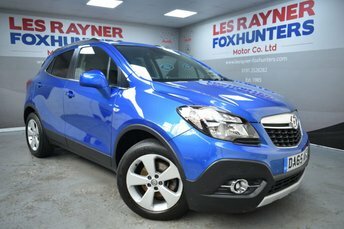 The Mokka boasts a spec of 17" alloy wheels,full leather interior , heated front seats and steering wheel , parking sensors (front and rear), DAB radio/cd/usb, cruise control, bluetooth, air conditioning (dual climate control), multi functioning steering wheel, electric windows and remote central locking. The 1.6 diesel pulls well and is very economical . Superb value for money at this price and looks great in Blue ! 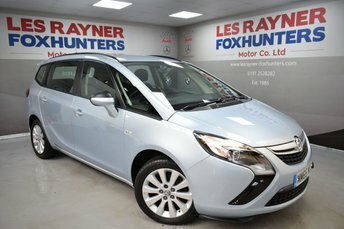 MM65WCC VAUXHALL ZAFIRA TOURER 1.4 DESIGN 5d 138 BHP 44k miles - 44K Miles, 1 Owner from new ! 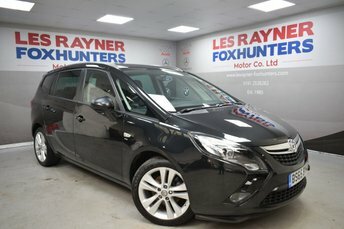 The Zafira tourer offers a great amount of space being the 7 seater model . The specification includes Front and rear parking sensors, Privacy glass, 17" alloy wheels, Multifunction steering wheel, Cruise control, Speed limiter, Air con, Bluetooth, AUX/USB/CD, DAB Radio, Isofix seat fixtures on the rear. Fantastic Value for money and what a great family car! 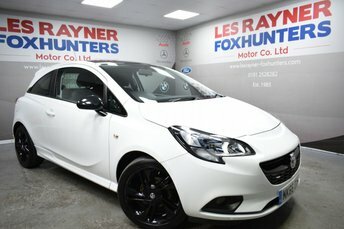 NK66OXH VAUXHALL CORSA 1.4 LIMITED EDITION ECOFLEX 3d 89 BHP - 17,000 miles ! The Corsa boasts a spec of 17" alloy wheels, Bluetooth, cruise control, multifunction steering wheel, DAB radio and FM radio , USB connectivity with projection, Autolights, Air con, Isofix, City Steering, Electric windows and remote central locking ! The 1.4 is a fantastic engine and such a smooth drive. Fantastic Value for money !! Only 30 pound a year road tax . FG63UVU VAUXHALL MOKKA 1.7 EXCLUSIV CDTI S/S 5d 128 BHP 62k miles. The mokka boasts a spec of 18" alloy wheels, parking sensors (front and rear), DAB radio/cd/aux/usb, cruise control, bluetooth, air conditioning (climate control), multi functioning steering wheel, Stop start,Autolights,folding mirrors,electric windows and remote central locking. The 1.7 CDTI Diesel pulls well and is surprisingly economical with Vauxhall fuel consumption figures showing 70mpg extra urban and 63mpg combined. Superb value for money at this price! 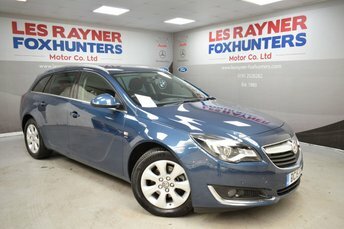 DG65FSF VAUXHALL INSIGNIA 2.0 SRI NAV CDTI ECOFLEX S/S 5d 138 BHP- 65k miles - The Insignia SRI offers a great specification of 18" alloy wheels, Rear Privacy glass, Autolights, Multifunction steering wheel, Sat Nav, Bluetooth, Cruise control, Speed limiter, DAB radio, FM/ CD /AUX/ USB, Air conditioning, ISOFIX, Remote central locking and electric windows. The Insignia is Free tax which means it is very fuel efficient with Vauxhall consumption figures showing 88.3MPG extra urban and 76.3MPG Combined ! Fantastic Value for money and proving a very popular car! 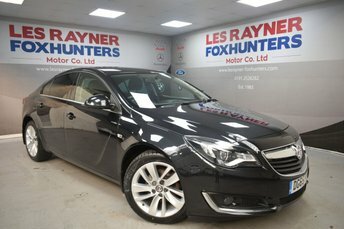 SF65ZJJ VAUXHALL ASTRA 2.0 ELITE CDTI S/S 5d 163 BHP- 52K - Full Vauxhall Service History- Total of 7 services! - 1 Owner The Astra Elite estate offers a great specification of front and rear parking sensors, privacy glass, 17" alloy wheels, full leather seats with heated front seats, multifunction steering wheel, cruise control, electric folding mirror, autolights, dual zone climate, FM/CD/AUX, ISOFIX, electric windows and remote central locking . Interested in a sporty hatchback like the Vauxhall Corsa? Keen to get behind the wheel of a rugged crossover such as the Vauxhall Mokka? 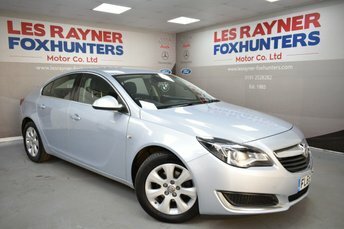 Come to Les Rayner Foxhunters Motor Company Ltd today and you'll be able to choose from a fantastic selection of quality used Vauxhall cars, all of which come fully inspected and ready to drive away. As a leading supplier of pre-owned vehicles you can rest assured that we'll do everything possible to help you find the perfect car to suit your lifestyle and budget. 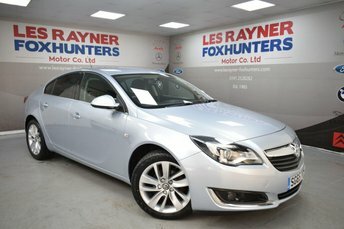 View our latest deals on used Vauxhall cars for sale in Whitley Bay here on the website, and remember to contact a member of our showroom team to find out more and arrange a test drive.